Watch the video to learn how the Connected Learning Program has enhanced student engagement in the classroom. The emergence of powerful technologies, increasingly high-quality digital educational resources, and the platforms capbable of tailoring our teaching are significatnly enhancing personalized, connecteed, real-world learning. Our students will inheriting a world of rapid change and increased personalization. Technology is revolutionizing how we communicate, how we work, and how we learn. Mount Paran Christian School recognizes this environment and engages our students through learning experiences which drive diverse critical thinking, communication, collaboration, curiosity, and creativity. 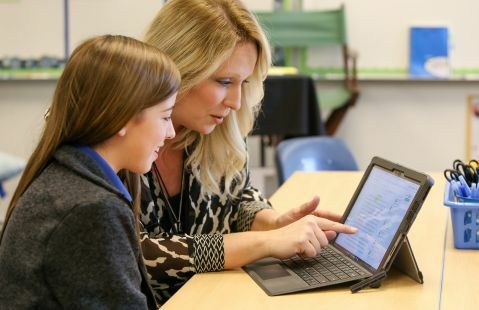 Teaching our students to critically access and discern digital information, our "Connected Learning Pprogram" and 1:1 devices equip students with more tools to think deeply, skillfully, and innovatively. Through this program, our teaching models become appropriately student-centered to help them apply that insight to the world in which they serve. Technology adds a completely new dimension to teaching and learning. 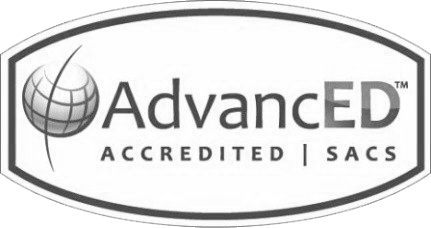 MPCS is committed to explore academic technology in a developmentally-appropriate way at every level of the school. 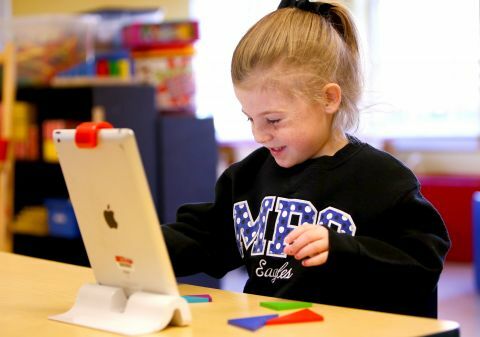 Preschool and lower school students use tablets, computers, SMART Tables, and other age-appropriate devices to enhance curriculum in each subject area. 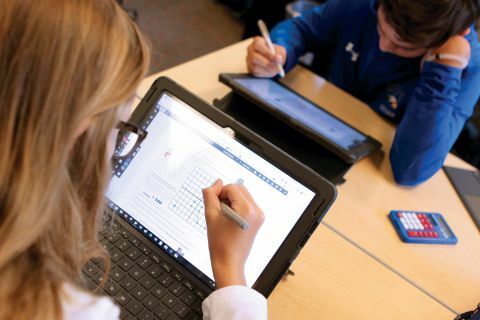 Middle and high school students are issued an individual Microsoft Surface Pro device each year which is integrated into traditional curriculum through Google Classroom. Technology alone does not improve student learning — it is simply a tool to help teachers provide students with skills they must have to succeed in today’s world such as critical thinking, communication, collaboration, and creativity. Technology skills are also enchanced through STEM/STEAM. The Connected Learning Program includes school-provided devices for all high school students as part of tuition. Working in the Google Classroom environment, this model most closely represents the reality of the college experience with organization, development, and submission of individual and group work. 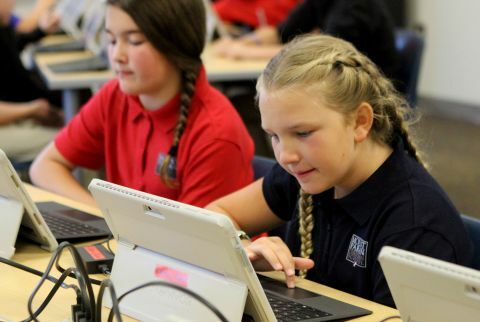 Upon entering sixth grade, students receive a school-issued Microsoft Surface Pro device to use in the classroom and at home. Instruction on responsible use is embedded in daily lessons, preparing students to form and use Christ-like discernment and habits. From collaborative writing within Google Docs to creating informational videos, students are learning to utilize these devices as tools to further their learning. Teachers have become more creative and innovative in their lessons, providing students with memorable and impactful instruction. Students may also delve into Project Lead The Way engineering coureses through MPCS STEAM. Kindergarten through second grade students experience weekly lessons in the STEAM (Science Technology Engineering Arts Mathematics) lab, where they learn components of the engineering design process using Apple iPads and computers. Hands-on activities in robotics, engineering, and programming are part of this lab experience. Third through fifth graders have access to mobile laptop computer labs. They are introduced to collaborative learning tools such as Google Drive where group work can be digitally accessed and updated simultaneously by different students working on different aspects of the same project. Most of the school day is focused on developing academic skills without technology, instead learning problem-solving, processing and organization, gross and fine motor skills, and social skills that are an essential foundation to next steps in education. Our youngest students are born digital-natives, using technology comfortably at an early age. At school, we incorporate certain digital technology through PreK STEAM (Science Technology Engineering Arts Mathematics) classes in which the students discover, interact, and create in ways that make digital learning fun and engaging.